VA Home > VA Loan Eligibility > What is VA loan entitlement? 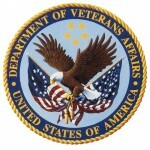 VA loan entitlement is an amount of guarantee made by the US Department of Veteran Affairs. The standard VA Loan Entitlement is either $36,000 or 25% of the loan amount. The $36,000 home loan entitlement is based on a loan of $144,000 or less. For VA home loans above $144,000, the VA Entitlement will be increased to 25% of the loan amount. There is a restriction on the total loan amount that is set by county or municipal boundaries. In the event that the loan amount exceeds the county loan limit, the borrower is required to place a down payment equal to 25% of the excess. For example: If the county loan limit is $606,250 and the eligible borrower would like to obtain a loan in the amount of $620,000, the bower would have to make a down payment of $3,437.50. The VA Loan Entitlement will vary by individual. The reason for this is that each individual will qualify for a different loan amount. The factors that will determine what an individual will qualify for are income, debts, existing VA loan entitlement use, among other things. In addition to this, the borrower must meet all underwriting criteria and originator overlays to qualify. The VA loan entitlement maximum is $36,000 unless the loan amount is above $144,000. Because of this, a borrower may have more than one VA home loan at a time. The restriction to this is that the total of all VA loans may not exceed $144,000 unless it is one loan (and subject to either county limit or down payment restriction). For example: A $27,500 loan will have an entitlement of $ 8,500. This will leave a VA Loan Entitlement of $27,500. Because of this, the borrower may be able to purchase a second home for up to $116,500. In this type of situation, the second home loan would not be able to be above $116,500 without a down payment. There is no down payment required for VA loans up to $1,094,625. This is only if the loan is within the VA home loan limit. Some Certificates of Eligibility will show 1) total entitlement, and 2) available entitlement among other data. The VA entitlement is the actual amount (either percentage or dollar) that the VA will guarantee.